Farm Craft is a tale of good vs. evil. Our hero, Ginger, helps various rural farmers take on the AgroCorportion, a big agricultural conglomerate that wants to develop the land outside of town. It's up to Ginger to keep her farm and save the village (heck, the whole county is counting on her). Don't be afraid to get your hands dirty in this addictive time-management game that digs its way into the farming, flower, livestock, and beekeeping businesses. It's charming farming. Download free full version game and start building your farm now! 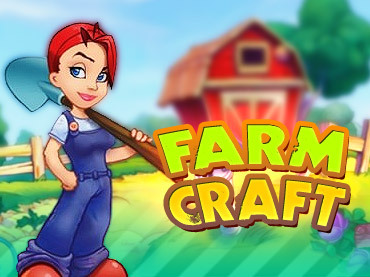 Free Game features: - Excellent graphics; - Fun, addictive play; - Build and design your farm to meet your needs; - New and challenging elements added with each level; - Hone your skills to earn all 12 awards. If you have questions about Farmcraft game, please contact us using this form.